If you’ve parked, watch out for the mosquitos! Mosquitoes! That’s hilarious. Is that a local church? 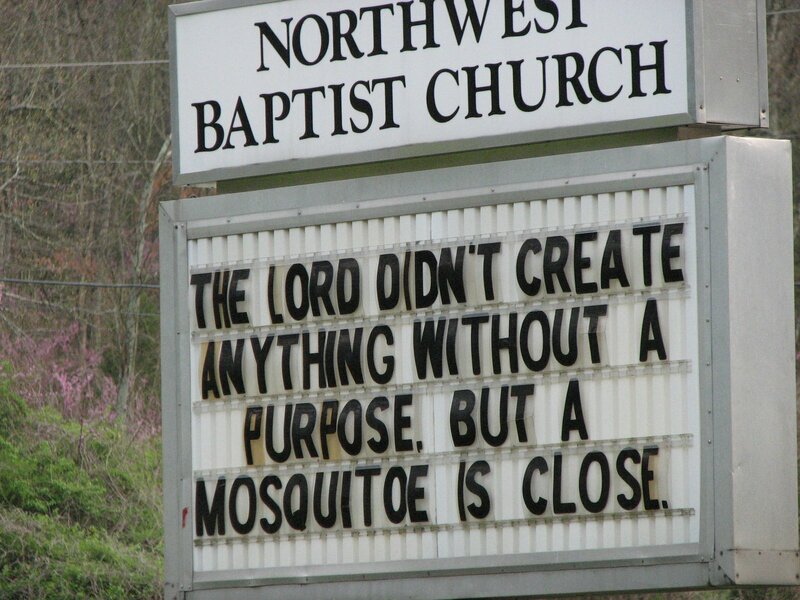 A collection of funny church signs would make a great coffee table book. 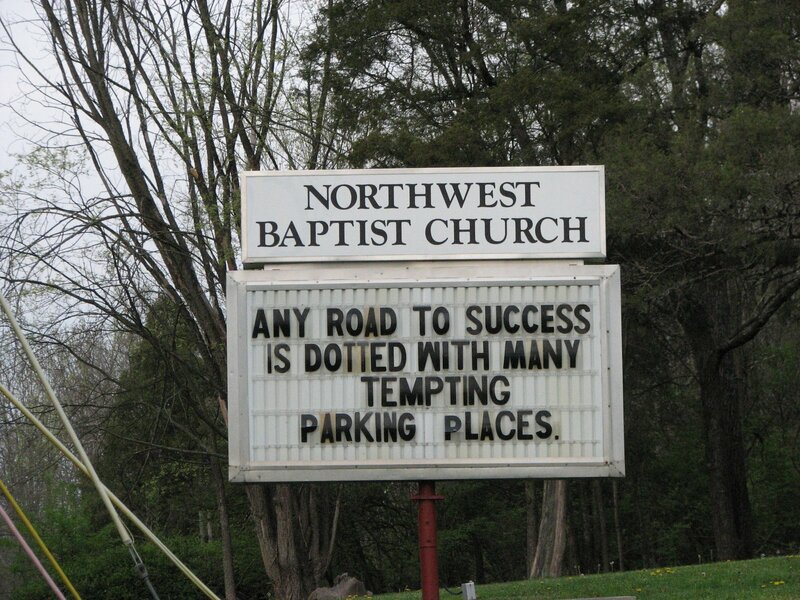 I love this church’s signs. They are so funny!! I still haven’t figured out the purpose for mosquitos!!! Yes Lori, right down the street….and I already posted about the church sign coffee table book…hit the church signs label. Hey Alice!! I found your blog through Kristen Duncan’s blog and thought I’d drop in a stay awhile. You are one of the funniest women I have ever meet so of course you have a fab blog : )Hope you are doing well!! Alice, Check out Olivet Baptist Church’s sign, “God wants spiritual fruit, not religious nuts.” How true!